The underdog has to beat out a lot of noise to gain notice in a market dominated by household brand names with deep pockets. And our marketing scientists and strategic storytellers made that possible. Discover how innovative companies just like yours have found success with our proven, scientific approach. 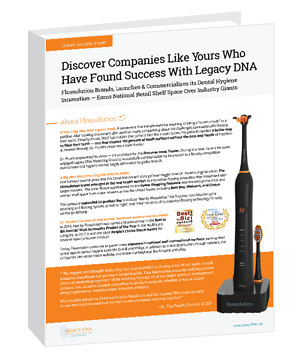 Download the Flossolution Client Success Story to read how Legacy DNA helped this underdog beat the odds!